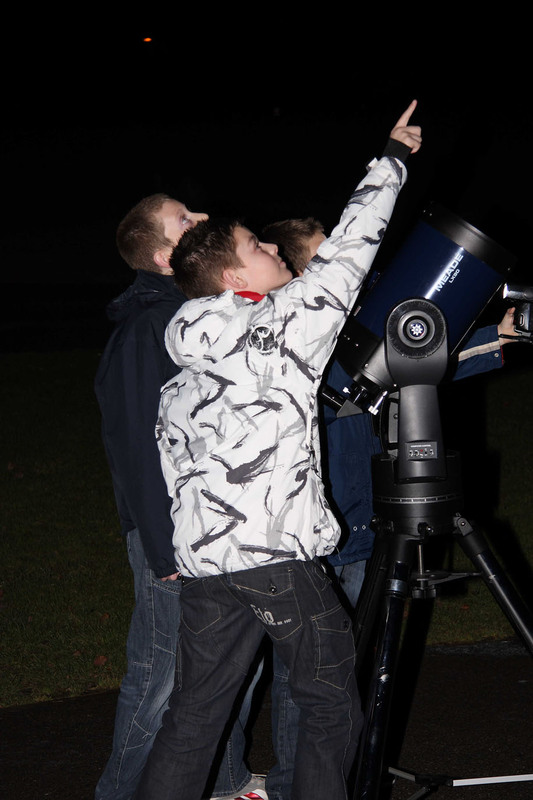 On 13th January 2011, I was asked to take along the Society’s LX90 telescope to The Long Eaton School where they were holding a Stargazing Live event in the evening for students and parents. The organiser, Hayley Flood, contacted me through a mutual friend to inform me of the event and I was only too happy to take the scope over to help out. The evening was started with a presentation by Hayley on the moon and the solar system with a wonderful interactive demonstration about the relative sizes of objects using something as humble as a pot of playdoh! What inspiration!!! Towards the end of the evening, we went outside to see what was visible through the telescope. And we made a discovery. Vapourised Hydrogen Oxide, H2O, Water!!!..... Commonly known as CLOUDS!!!!! The moon was barely visible through them, but needless to say, the scope was pointed in the general direction, but no! The clouds got thicker and by the end of the evening, there were a few specks of condensing H2O (aka rain!). Anyway, all the students and gathered staff members and parents were enthralled by the evening. 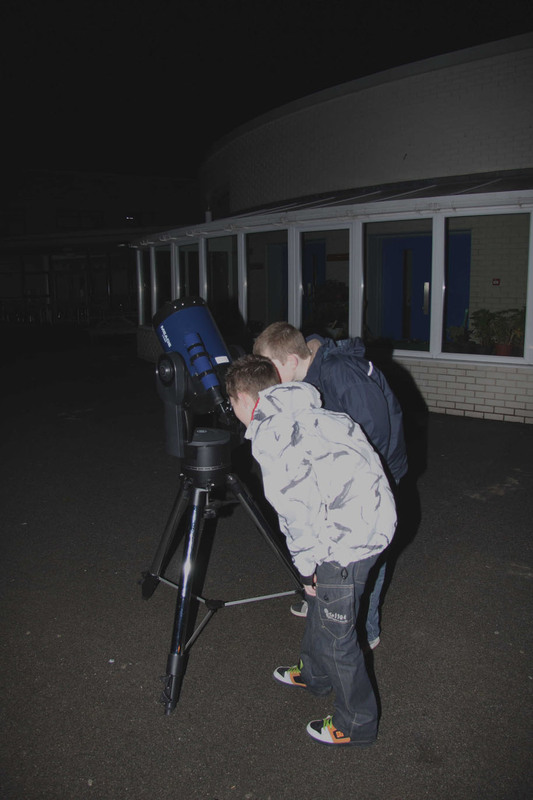 On the 13th and 14th January we held our very own Stargazing Live events focussing on our nearest neighbour, the Moon. 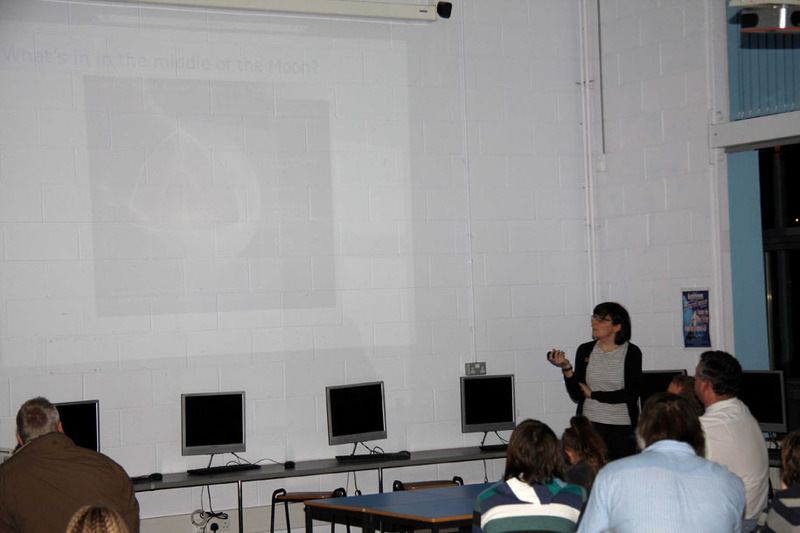 Both events kicked off with a presentation about the Moon followed by an observing session using binoculars and a number of different telescopes. We were very lucky to have expert Astronomers on hand to help us find our way around the night sky and to answer questions about what we were seeing through the eyepiece. The weather was particularly good on Friday night and in addition to the Moon, we were able to observe a number of other fascinating night sky objects including the planet Jupiter and its four Galilean moons, the Pleiades open star cluster and the Orion nebula - a star nursery! One of our Year 7 students was even able to take some photographs of the Moon through one of the telescopes! Thank you to Dr Daniel Brown and Dr Gary Wells from Nottingham Trent University for attending the event and providing us with their equipment and expertise. Thanks also to Chris Newsome from Derby and District Astronomy Society for attending Thursday's event, along with the 8" telescope belonging to the society. We will be holding more Astronomy events here at TLES in the near future with the next one taking place during National Science & Engineering Week in March.